The institute has three state of the art computer labs covering a big area. It is equipped with the high speed computers, under a galaxy of op. sys line…., Windows, Linux and Solaris along with a large range of latest software such as Visual Studio, .net, MS Office 2007,2010, Oracle 10g, SQL 2000 etc. BSNL 10 mbps dedicated leased internet connectivity has been provided for exposure of the students to information highway. 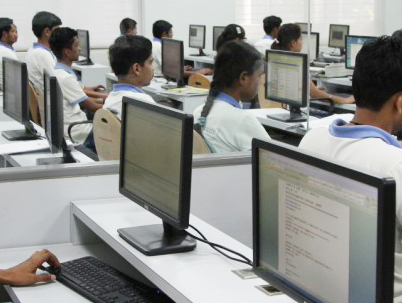 The computer labs have been divided into two main categories such as Interactive Lab & Training Lab..